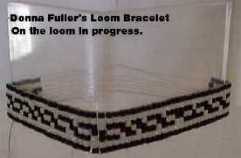 Another of D.Fuller's on the loom loom Bracelet finished. 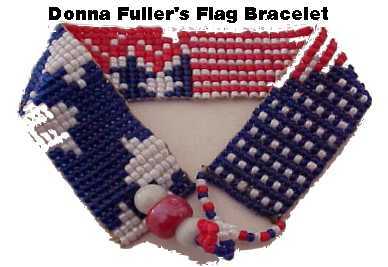 this was so fun and quick and EASY..no warp thread worries...it is continuous warp and tubular. 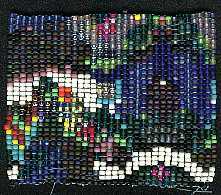 ** The last picture is the Blue Cottage I made using Sharon's Tube loom for amulet bags (next pic is the real way it is centered now before whipstitching the bottom so it shows the wall with hanging flower pots)...haven't fringed or made a strap yet..no pattern just out of my head as I went...this was so so so fun! 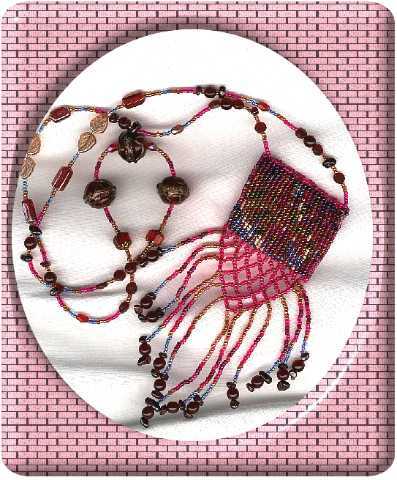 These Looms are a must-have for Beaders! All finished with Blue Cottage! 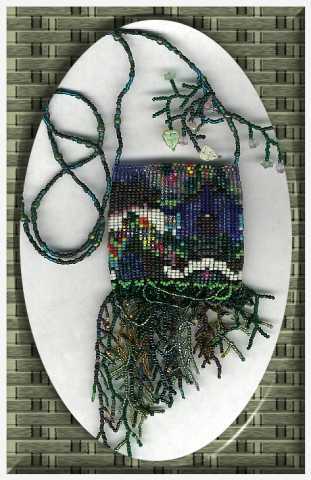 Can't wait to do another weaving...this is so stimulating! 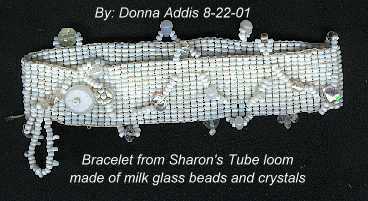 Thanks Sharon and your tube looms and thanks everyone at BeadTalk who helped with ideas of fringe and strap!